Running a chocolate factory is a tough life. Sure, we thought it was going to be all singing and gorging ourselves on candy buttercups, followed by a daily swim in a river of fresh chocolate. You know what it really involves, though? Mountains of paperwork, safety inspections, and daily scheduling crises. Of course, we never said we ran Willy Wonka's chocolate factory. That magical place would have been much more interesting to work at. It's wonderful how many new treats you can invent when you have so much time and so little to do, in addition to a massive candy laboratory at your disposal. Luckily, you don't need to own a chocolate factory to look like a genuine chocolatier. 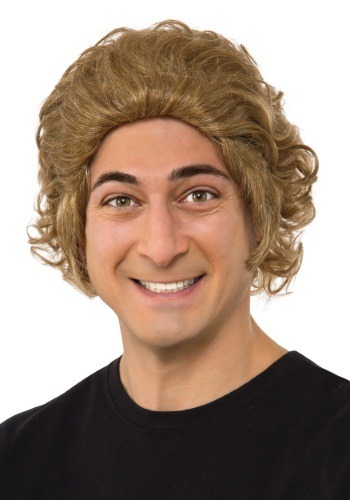 Simply slip on this Willy Wonka Wig to complete your Wonka-riffic costume. There's no telling what amazing ideas you'll be inspired to come up with. Just remember: "A little nonsense now and then is relished by the wisest men!"